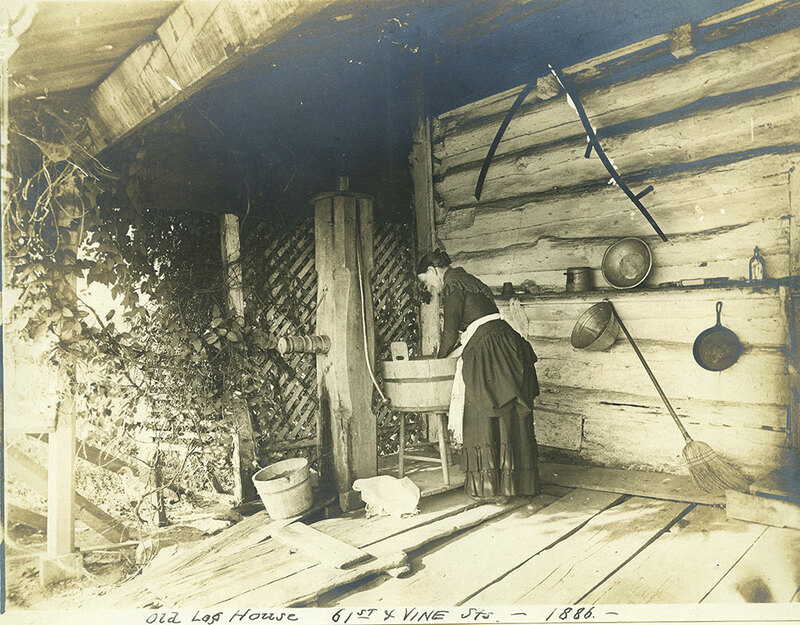 Photograph shows a woman standing on the porch of a log house washing clothes in a wooden washtub. On one side of her is a bucket and a water pump, and on the other side various kitchen utensils and a large scythe are arranged on the wall of the house. A broom rests at an angle against a metal bowl. A wood trellis covered in vines provides some shade and privacy.